More Callisto! She's the best TV enemy since the Borg. Keep her bad! Don't do the Voyager thing and water down her badness! We need her to be mean, relentless, unyielding, and cruel. No more guilt trips for this riotgrrl, please!!! 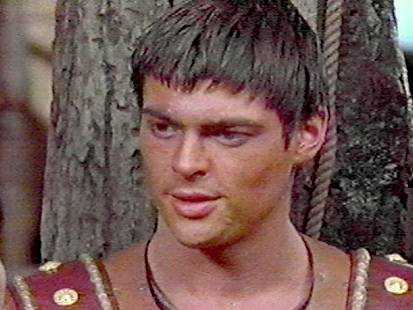 Anything with Ares....not just cause he's a hunky guy, but he really brings out that temptation to rule the world thing that Xena struggles with so much. It makes for some good shows. Ever notice how Xena says Ares in the same tone that Jerry Seinfeld says "hello, Newman"? For those who still believe Gabrielle is kissing Autolycus ..... HAHAHAHAHAHAHAHA......yeah, right. Oh, I know, maybe Perdicus could come back from the dead like Callisto! And maybe Joxer could be in that episode too! And they both could eat ambrosia and never ever go away! Anytime our grrls are on the screen together all eyes are on them.... the rest is mostly filler. Callisto is the only other character compelling and exotic enough to hold her own with the two fab femmes. A NECESSARY EVIL was a near blissful ep just for the amount of time we got to watch all three of them. 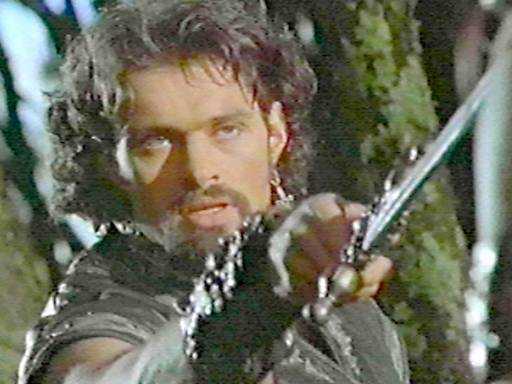 Hopefully, Gabrielle can just forgive Callisto without making her repent first! Was A DAY IN THE LIFE a heavenly ep or what? The ending especially with Xena and Gabrielle lying shoulder to shoulder staring at the stars while that tinker toy/lullaby melody played in the background was incredibly sweet and wonderful. Also, when they were sitting next to each other on that log after Xena caught all those fish, you couldn't fit a hair between them! Let's see more of this kind of thing. These two are way beyond friends and/or lovers. They're in a category all their own. Throw the chakram! Everyone wants to see that thing ping off a bunch of rocks and deck a few guys along the way. Do the split kick! We need a solid fight sequence in every ep. The frying pan just doesn't cut it. Trade bodies! INTIMATE STRANGER was lots of fun. I really believed Hudson was Xena. Maybe Gabrielle and Xena could trade bodies for an ep or two. After THE GREATER GOOD, it's only a matter of time before Gabby starts going "YIYIYIYIYIYI" on her own...and that fire in her eyes when she was on Argo. She's definitely got it in her. Is it just me, or has Xena gotten a lot more butch these days? Even the way she walks seems clunkier than it used to. Hopefully, we're not seeing some sort of butch/femme standard being played out. This show is about breaking the molds....let's see Xena in a softer light, or at least let's see her walk a little more gracefully. No more twenty minute digressions while Xena seduces a guy! We've seen way too much of this stuff already. All that time allotted to J. Caesar in DESTINY could have been better spent on a few more great fight scenes with M'lela or anything between M'lela and Xena. At least Callisto keeps it quick with Ares. Been there, done that. End of story. 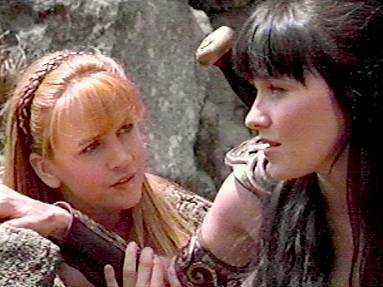 Intimacy and innocence...those soulful looks Xena and Gabrielle give each other can't be found anywhere else on TV. Let's see more of them.